Whether you call them learning disabilities, learning challenges, or learning differences, some difficulties with learning often go unrecognized by our school systems for years. By the time a problem is finally identified (or admitted to), the child who struggles to learn has already experienced countless assaults to his self-esteem. Before my daughter even entered kindergarten I knew that something wasn’t quite right. My concerns about her poor academic progress through the years were all dismissed. Not until I did my own Internet detective work and discovered she showed multiple signs of dyslexia did anyone take me seriously. By then she was already in eighth grade. Have you ever worried that this might describe you some day (if it doesn’t already)? Yes, your anger is justified. The sadness over your child’s struggles because she isn’t receiving the help she needs is real. Can we blame her teachers? The school district? The entire school system perhaps? By routinely applying the lessons learned from the scientific findings to the classroom, most reading failure could be avoided. It is estimated that the current failure rate of 20 to 30 percent could be reduced to the range of 2 to 10 percent. Wow! That’s a pretty bold claim. As someone who specializes in strengthening learning abilities, that’s a thrilling statement. Most schools of education, the places where our teachers are learning how to best teach our children, are not teaching the science of reading. In other words, most teacher training programs do not provide the knowledge and tools needed to address special learning challenges. Can we really blame our teachers, then, for not meeting the needs of every child? For research-based practices indicated for the classroom, read the full report. Some teacher training courses that claim to provide a “balanced” approach ignore the science of reading. Even courses designed to include the best parts of phonics instruction and the best parts of whole language instruction didn’t successfully achieve that balance. National accredited education schools are no more likely than others to teach the science of reading. What does that mean if you’re a teacher in training? There’s no easy way to know if you’re receiving a research-supported education or not. Keep in mind this is only one review of a random sampling of education schools across the United States. It’s an important one, however. We really do need the change makers to take notice. 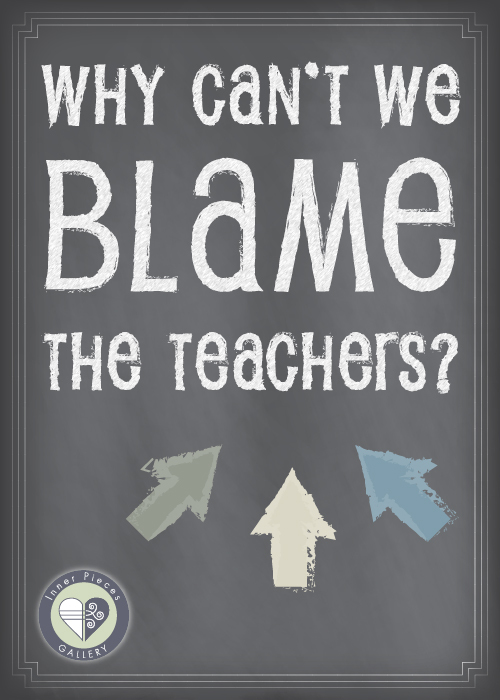 For the answer to that question, continue reading Why Can’t We Blame the Teachers, Part 2.